Miguel A. Miranda is Professor of Organic Chemistry at the Universitat Politècnica de València (Spain) and Head of the Institute of Chemical Technology (ITQ). He studied Chemistry at the University of Valencia and obtained his PhD degree at the Autonomous University of Madrid in 1978, working at the Spanish National Research Council (CSIC). He spent post-doctoral periods at the University of Saarland and the University of Würzburg (Germany) and was Associate Professor at the University of Valencia before accepting his present position in 1990. 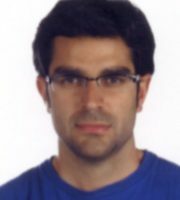 The research interests of Miguel A. Miranda are mainly focused on photochemistry and photobiology. Miguel A. Miranda has received the Honda-Fujishima Lectureship Award of the Japanese Photochemistry Association (2007), the Janssen-Cilag Award for Organic Chemistry of the Spanish Royal Society of Chemistry (2008) and the Theodor Förster Memorial Lecturship Award of the German Chemical Society and the Bunsen Society of Physical Chemistry (2010). He is currently the President of the European Society for Photobiology.